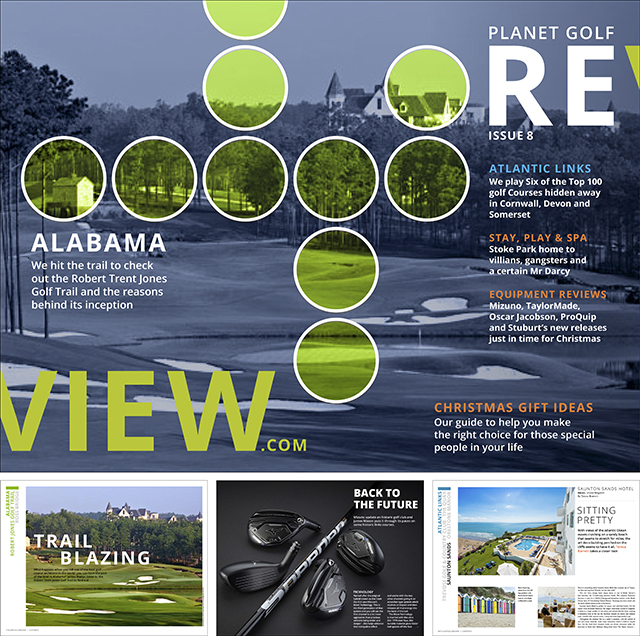 Download the 8th issue of planetgolfreview’s FREE digital magazine. Destination features from Alabama covering the Robert Trent Jones Golf Trail and the Atlantic Links Tour of Cornwall, Devon and Somerset featuring six Top 100 Links courses. For the non-golfers, there are plenty of hotels and spa reviews, helping you make the perfect choice for that weekend getaway and 3-pages of Christmas gift ideas. The equipment and apparel sections bring you the latest offerings from Mizuno, TaylorMade, Oscar Jacobson, ProQuip and Stuburt. And finally the new “Play, Stay & Spa” section and in this issue features the setting for films such as James Bond, Bridget Jones and Layer Cake, Stoke Park Country Club, Hotel and Spa.